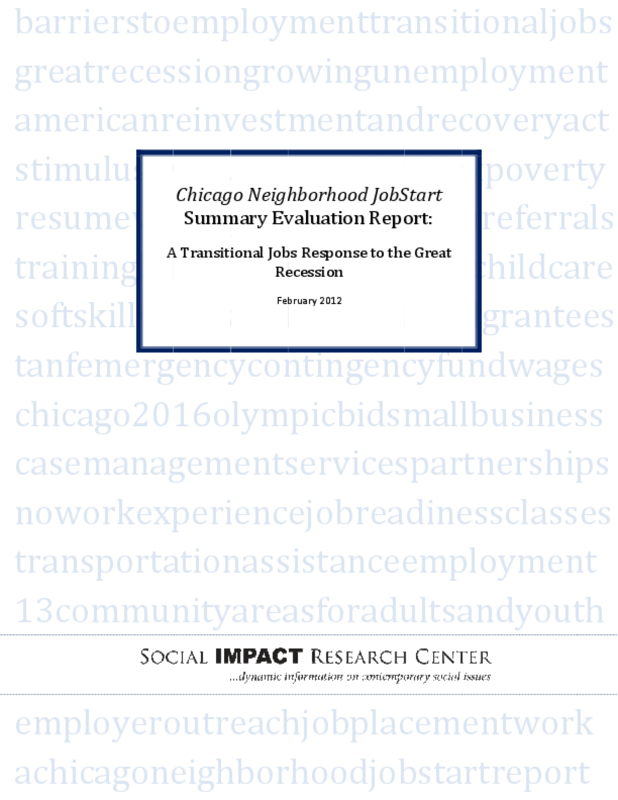 This brief summarizes the results of an evaluation of Chicago Neighborhood JobStart, a program that sought to place 2,200 low-income residents of historically high-unemployment neighborhoods into temporary jobs with local employers. The program operated for approximately four months between June and September 30, 2010, using a combination of public funding from the American Recovery and Reinvestment Act (ARRA) and private funding from the 2016 Fund for Chicago Neighborhoods. Copyright Copyright 2012 by the Social IMPACT Research Center at Heartland Alliance. All rights reserved.